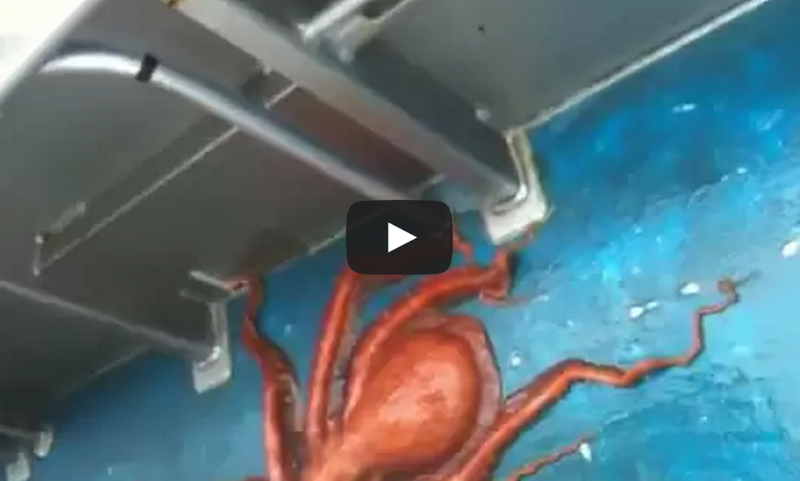 Wait Til You See What This Octopus Does On This Man's Boat, It Will Blow Your Mind! Wow, I never knew that an octopus have this type of ability. In this video shot by Chance Miller, he captures a “Houdini” octopus that manages to escape his boat through a very tiny hole. The video was filmed near the Chiswell Islands in Alaska. Check out the video below, it will blow your mind!